Join Gail Grossman on a magical Yoga Retreat in Italy. 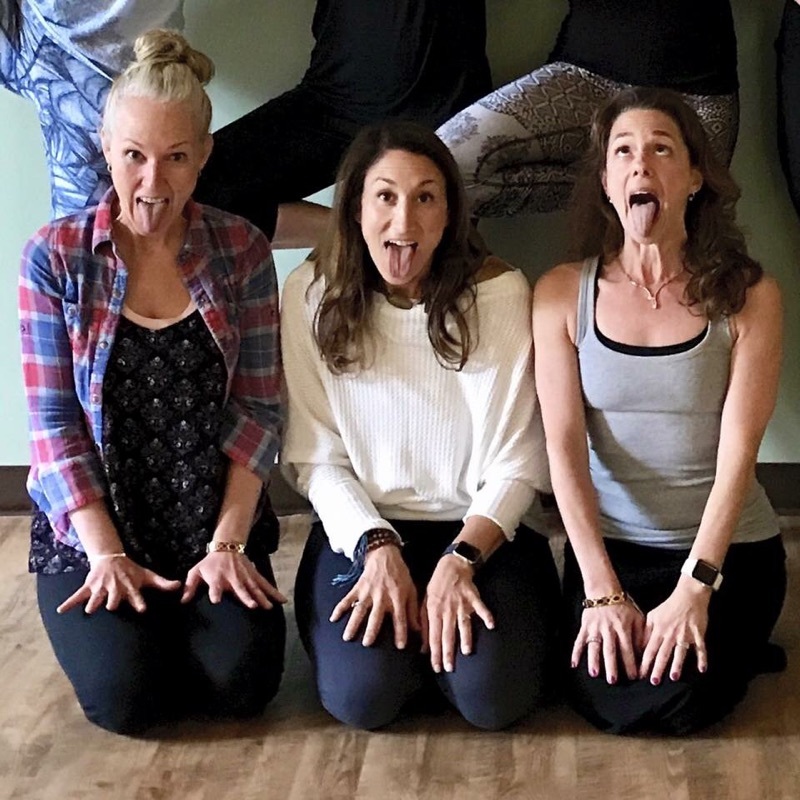 Give yourself permission for your stresses to fall away with guided yoga classes with Gail, delicious and nourishing cuisine, healing thermal waters and enough time to truly let go and relax. You will return home energized and inspired to truly embrace life and live fully. Whether you want to deepen your yoga practice, chill by the thermal pools, get sun-kissed in a lounge chair on the sand, relax with a massage, or swim in the beautiful sea – all is possible in our spectacular location on Maronti Beach. We will be staying on the enchanting island of Ischia which is outside of Naples a short ferry to Capri. It has a beautiful view of the ocean, a spa, a classic Italian restaurant, as well as 3 different temperature thermal pools overlooking the sea. This retreat is all about restoration, relaxation and divine inspiration while soaking up the deep blue of the Mediterranean! Capri may be known as the most famous island on the Southern Amalfi Coast of Italy, however Ischia is often considered the most beautiful. 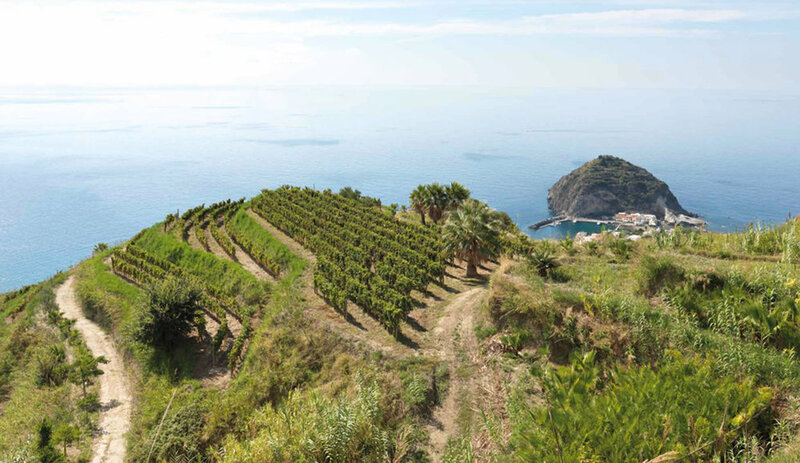 It's volcanic origin has given the Island of Ischia breathtaking landscapes and colors that explore your senses. 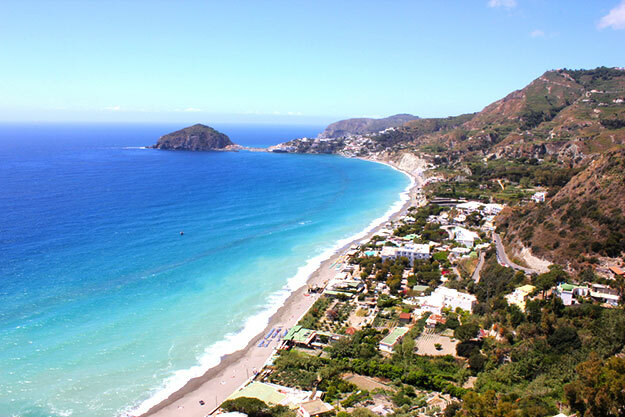 Ischia is surrounded by gorgeous beaches, volcanic thermal spas, therapeutic natural hot springs, lush natural habitat including island palms, cactus' and cypress, almond and olive trees. The cuisine ranges from succulent dishes of fresh fish to pasta dishes and pizza Neapolitan style... almost always accompanied by a glass of local wine, an after dinner aperitif and some fresh seasonal fruit. The sun is warm and the surrounding Mediterranean sea offers a continuous breeze that makes it so easy to sleep well at night. Our venue is situated right on the beach, the large terraces and meeting spaces overlooking the water invite you to drink up the beauty of the sun and sea. On the grounds there are many places to sit and relax including little alcove areas that are more private. There is also a spa with a sauna, massage and mud treatment rooms, along with three thermal pools. We will be staying in beach front apartments which are steps from the sand. Each apartment has 3-4 beds with pocket doors for some added privacy, plenty of closet space, kitchenettes with a refrigerator, a full bath and a table with chairs. The apartments are super clean and well air-conditioned. Glass sliding doors lead you straight out to your personal deck perfect for enjoying an espresso in the morning or a glass of wine in the evening. Boats are dotted along the shoreline waiting to water taxi you to anywhere you’d like to go, as there are many enchanting spots to visit! Maronti Beach is simply a lovely spot that has just enough action and privacy at the same time. All delicious and healthy breakfasts, lunches and some dinners will be onsite, custom prepared in a classic Italian cooking style, offering both vegetarian and meat options along with gluten free if needed, plus dessert of course (you simply cannot retreat in Italy without dessert)! Four dinners will be on your own and we encourage you to dine at many of the little restaurants right on the beach. They are all a fantastic feast of the senses. You may choose to dine together or in small groups. Daily Yoga either on a peaceful yoga deck overlooking the water or right on the sand in the morning when we have the entire beach to ourselves. An optional hike to Sant Angelo. Plenty of time to Explore and Relax. Create your own essential oil intention mist and rollerball blend. Heart-Based Meditation, Blessing, and Chakra Union. Airfare, Travel Insurance, 4 dinners, spending money, transfers. In sum, we want everyone to feel pampered, relaxed and inspired by all the sweetness and magic that will surround you… Spaces are limited. We hope you join us for this enchanting trip of a lifetime! For those that like to relax and also add some adventure into their itinerary, there are endless opportunities to visit many different places. There are day trip and excursion ideas and options further towards the bottom of this page. Getting There: Once arrivig in Naples you will take a Hydrofoil or ferry to the Island of Ischia. Upon arrival on Ischia, you will take a short taxi ride (about 7-10 minutes) to the Retreat Center on Maronti Beach. Tour of the Vineyard and Wine Cellar, Wine Tasting with Anitpasto, Bruschetta or Similar Appetizer, Winery Museum visit. Additional options include: stay the day at the vineyard and paint, do yoga or meditate. - La Mortella is divided into two parts: a lower garden, called ‘Valle’ and a more high one set on the top of a hill. The entire area stretches on about 2 hectares and hosts inside a rich collection of more than 3000 specimens of rare and exotic plants. Several sets of huge orchids, palms, cycas and tree ferns in tropical greenhouses. Great ability for a great flora in the garden design, rich in fountains, water pools, papyrus, lotus and tropical water lilies. The different zones of the garden are linked to many paths that lead to on the top, up to the amazing sights overlooking the bay of Forio. A part of the garden, rich in splendid lotus, hosts the Sala Thai, a meditation area, a pleasant stop to relax yourself. Just a short walk away from Maronti beach or the village of Sant'Angelo, Le Fumarole beach is famous for its fumaroles. The fumaroles are hot vapors caused by the underground volcanic activity that heat the sand of the beach to various temperatures. The sand can be used to treat a range of ailments such as rheumatism or sciatica and locals even use the beach to cook food under the ground in specially designed containers. 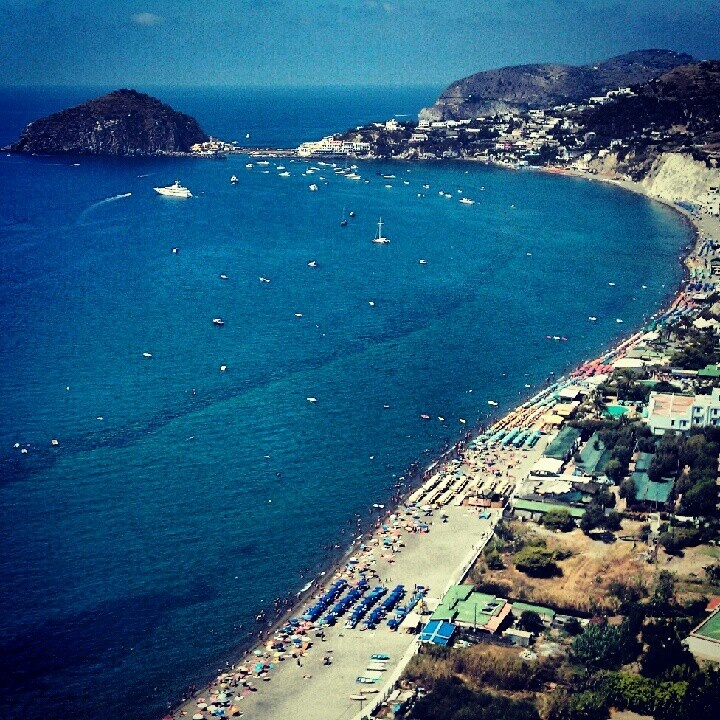 The beach itself is one of the prettiest in Ischia. The easiest way to approach it is from the fishing village of Sant'Angelo where you'll find signs directing you towards the beach (La Spiaggia delle Fumarole in Italian). The signs direct you along a picturesque path surrounded by quaint and colourful little houses from which you gain a panoramic view of the beach from above with its stunning crystal-clear water. Close by to the beach is Aphrodite Thermal Gardens and there are also a number of bars, restaurants and beach facilities for hire. Fumarole beach in Sant'Angelo is located on a volcanic basin, rendering the sand extremely hot and dry. Many diseases can be treated thanks to the thermal vapour that gives the sand the same chemical properties of the basin below. Visitors to the beach are also able to dig sand baths in areas of the beach that are heated to a prescribed temperature, lay in the baths whilst covered in sand, and be naturally treated for a number of different ailments such as: rheumatism, sciatica or the after-effects of fractures. Castello Aragonese is a medieval castle located in Ischia Ponte and is perhaps the most iconic and intriguing of all Ischia's sights. It dates back nearly 2,500 years when the original fortress was built by Hiero I, a tyrant from the Sicilian region of Syracusa. For modern-day visitors to Ischia, Castello Aragonese offers a fascinating glimpse in to the history of the island as well as providing a beautiful and dramatic addition to the landscape. As the ferries and hydrofoils approach Ischia, the first thing people notice is the huge green mass of Mount Epomeo, followed by iconic sight of the castle as they get closer to port. Cavascura is a series of caves and grottoes where you can bathe in the waters provided by the natural hot springs. The complex has been around since the times of the Romans who first developed it. You can bathe in the variety of grottoes and showers with their different temperatures and then sunbathe on the sun-deck which now forms part of the small complex. Also on the site are natural hot showers, a natural sauna and also a wellness centre where you can have a massage or various cosmetic treatments. Poseidon is a thermal park that takes advantage of Ischia's natural hot springs where visitors are able to use 22 different swimming and bathing pools, each with their own different temperatures. With Ischia's volcanic activity bubbling away under the surface of the island, the thermal water used at Poseidon naturally flows into the complex at very high temperatures. In order to achieve the required temperature at each pool, the water is cooled and systematically diverted to the different areas with temperatures ranging from 15 to 40° Celcius.